This course is for people with little or no previous experience or training in this area and who feel they want to develop their listening skills. It is ideal for carers and pastoral teams, for anyone involved in working with people. This training will help you to listen at a deeper level, ask relevant questions and respond in an appropriate manner. 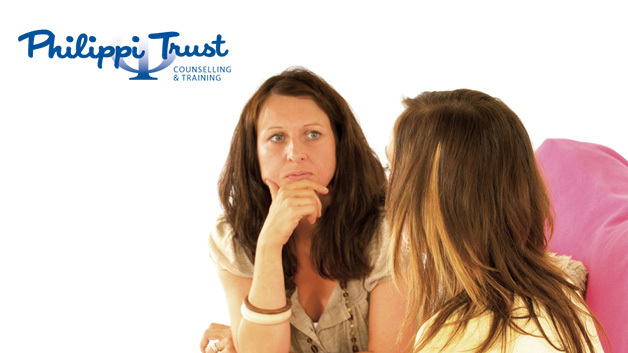 Apart from providing first class training in basic listening skills it could be the starting point for formal training in counselling. In order to receive a Philippi certificate you will need to complete a personal learning journal in addition to attending the day’s teaching. Cost for the day: £5 per head. Please note the original cost was £22, but with generous grants, we are able to offer this course for a reduced amount. Please bring your lunch, or you can order a basic packed lunch on arrival for £2.50 Tea and coffee available throughout the day. To book download this booking form or contact Trish at Philippi Counselling Southport on 01704 809678 or email email: training@philippi.co.uk.